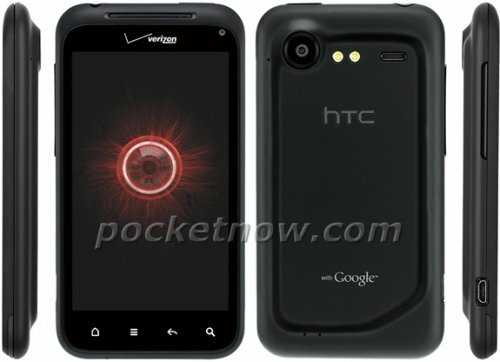 Verizon’s long-delayed and long awaited version of the HTC Trophy might just finally show up this week. We hope. 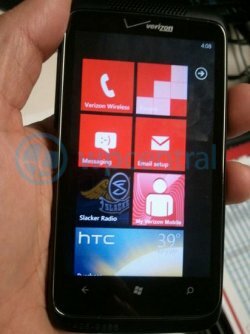 A new rumor has the Windows Phone 7 device shipping on May 5, though the rumor didn’t specify a price or explain why it was delayed from the April 15 date on the Verizon roadmap. 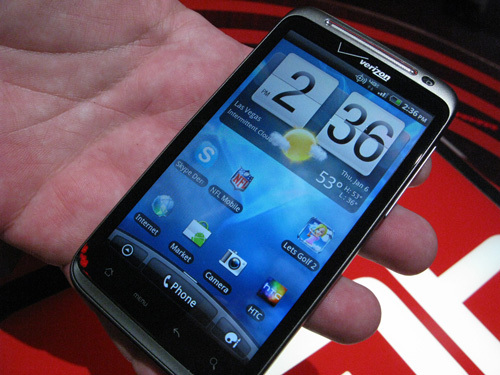 The device features a 3.8-inch 480×800 screen, a 1GHz Snapdragon chip, and a five-megapixel camera. Verizon’s edition might have dual-mode CDMA and GSM but we know it will ship with Microsoft’s NoDo update for copy-and-paste text and other upgrades. Software changes include Slacker Radio and a My Verizon Mobile account app. 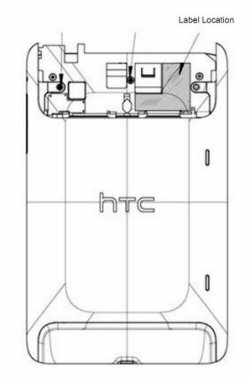 A new HTC phone has now been spotted. We don’t have many details, but it is rumored to go by the name of the HTC Rider. 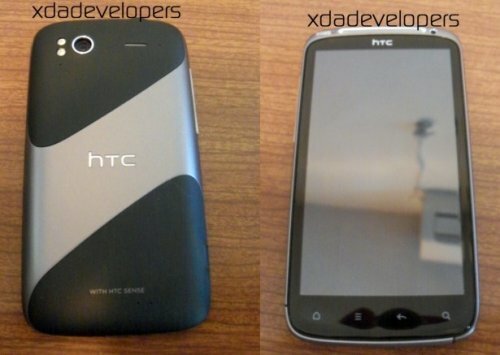 It looks like the HTC EVO 3D, but with a chrome speaker grill and a front facing camera on the right. That’s all we have. It’s hard to figure out more since the image is so blurry. For instance, is that red trim part of the phone or just a protective case? We don’t know. 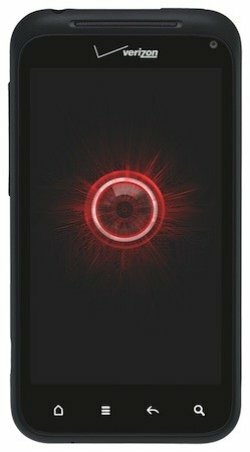 A red HTC phone sounds good though. Want to know where to find the FCC label on the HTC Flyer? This handy drawing will help. If you really love the device you can display it on your fridge like a proud parent. The 7-inch Android device has just been approved by the FCC. It appears to be a WiFi-only model, also tested for BlueTooth compliance, but lacking 3G. Hopefully you took care of your pre-order last week. Now all you need to do is wait for this $499 piece of Gingerbread. We hope that it ships soon now that we have this cool drawing. We knew it was coming and now Verizon has gone and made it official by announcing that the HTC Droid Incredible 2 will be available on Thursday, April 28th. So how much will it cost you? Not an arm and a leg. Just the usual $200 with a two-year contract. To refresh your memory, the device features a 4-inch super LCD screen, a 1GHz Snapdragon processor, an 8 megapixel camera with a dual LED flash, a 1.3 megapixel front-facing camera, as well as WiFi mobile hotspot support. It also happens to be a world phone. Our friends in Europe have been able to preorder the HTC Flyer for months, and now we will soon be able to as well. The Flyer will be available for preorder on April 24th (Today) for $499 with Best Buy as the exclusive seller. Those in Europe have been able to get 3G versions, but the one hitting the states is just WiFi. Better than nothing right? The Flyer features a 7-inch (1024 x 600) display, aluminum body, 1.5GHz Qualcomm chip, and a version of the company’s Sense UI that is optimized for tablets. It ships with Android 2.3 (Gingerbread), but HTC says there will be an eventual upgrade to 3.0 (Honeycomb). 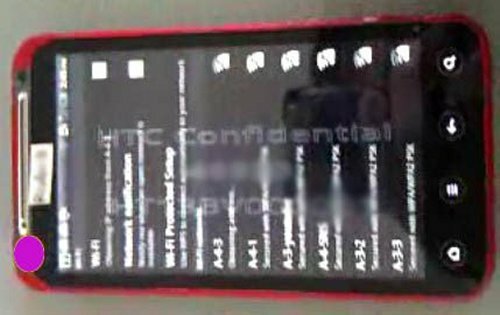 A new video ad has emerged that reveals that HTC is reportedly planning on releasing a Windows Phone 7 smartphone with a 16-megapixel camera, which would be a first for the industry. HTC’s most advanced smartphones currently have only eight-megapixel cameras. The phone in the video looks like the Desire S, though that phone uses Android and is probably just a temporary stand in for now. We don’t have any other specs for this unnamed WP7 phone, but the video shows dual LED flashes. We will just have to wait and see what else emerges. 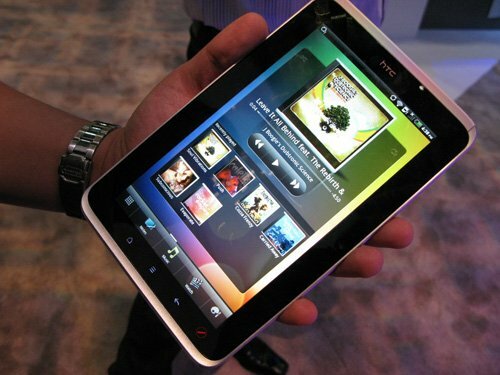 The highly anticipated HTC Flyer tablet will hit European stores on May 9. That solves the question of when it will arrive in the Uk, but we still don’t know when the seven-inch Android device will be upgraded from Android 2.4 to Android 3.0 which is tablet-optimized and used by competing devices. What about pricing? Well, earlier leaks for the UK had the unlocked 3G, 32GB version at £600 ($982). In Germany, the same device costs about the same at 669 Euros ($904). We love drooling after new gadgets. We love to use them and of course, we like to tear them apart. You always hurt the ones you love after all. 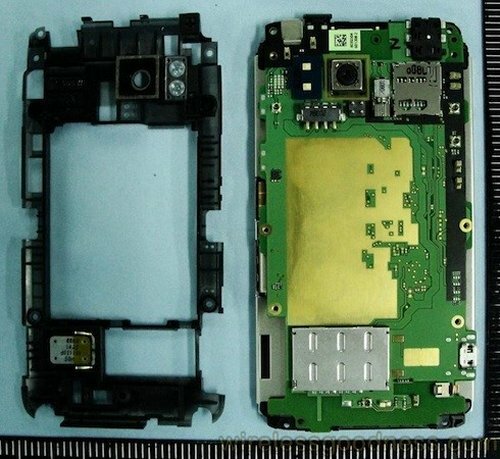 The HTC Thunderbolt has already hit the FCC, but now that the phone has actually been released, we are getting to the juicy details of the innards. This teardown isn’t up to the standards of the folks over at iFixit, but it is a teardown just the same. We love to see what makes these devices tick after all. Hit the link below for more details and pics. What’s this? If our eyes don’t deceive us this is the HTC Droid Incredible 2. These images come from PocketNow without even a named or anonymous source. We don’t care, we just enjoy spying new gear. To refresh your memory, the Incredible 2 is little more than a rebranded Incredible S. According to a purported leaked roadmap from last month, the best guess we have for a launch date is April 28th. We will let you know more when we know. By now we’ve all seen the HTC Merge, so these press shots don’t show us anything we don’t already know, it just confirms that this Android-powered QWERTY slider is bound for Verizon any time now. And that is welcome news. In fact, the CDMA Desire Z will likely hit shelves before the end of the week, because regional carrier Alltel has already begun taking pre-orders on its own version of this 800MHz, 3.8-inch handset. We know you’ve been waiting for this one. The HTC Pyramid will now be called the HTC Sensation when it comes to the UK. The newly christened HTC Sensation will launch in the UK on Tuesday at HTC’s media event and be available in the UK in the next few months. Right now we don’t have any info regarding when it will be in stores or which operator it will be available on. The HTC Sensation has been keeping a low profile and didn’t even show up at global mobile phone tradeshows MWC and CTIA in February and March. Word is that it will pack in a 4.3-inch screen, a dual-core processor and run the latest version of Gingerbread. The HTC Flyer was announced last month, and in the latest promo video, we get a much better look at it, like seeing the Flyer’s UI in action as well as other features, like HTC’s new stylus. Looks pretty good to us. To refresh your memory, the HTC Flyer features a 7 inch touchscreen display with a resolution of 1024 x 600 and comes with Google Android 2.4 Gingerbread, a 1.5GHz Qualcomm processor and a new version of HTC’s Sense UI. There’s also a 5 megapixel camera on the back and a front facing 1.3 megapixel camera for your video chat needs. Last week a new version of the HTC Flyer was announced for the US, the HTC EVO View, a WiMAX enabled version of the Flyer that will be available with Sprint in the US. 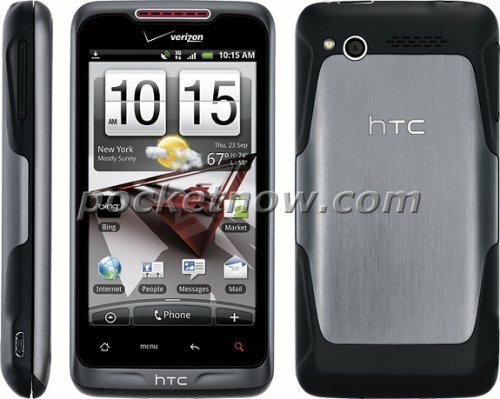 But now we have word that the HTC Flyer will also be headed to T-Mobile some time this summer. 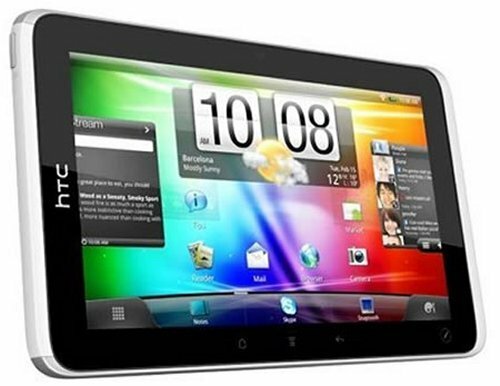 The HTC Flyer packs in a 7 inch touchscreen display with a resolution of 1024 x 600 pixels, a 1.5GHz Qualcomm processor and Android 2.4 Gingerbread. It has two separate camera’s, a five megapixel version on the back and a 1.3 megapixel camera on the front. Other features include a 4,000mAh battery, 3G and WiFi. An HTC representative says that the Thunderbolt should get Android 2.3 in the spring. We know thise because the representative named Carol was telling Droid-Life reader John about compatibility limits with Bluetooth, when she added that HTC was “excited to announce” the refresh. She says that more details would come closer to the launch. Among the list of features mentioned were NFC and interface polish changes. This isn’t very surprising since most of HTC’s new phones will all launch with Android 2.3, but hey it’s always nice to have confirmation. HTC announced their latest tablet yesterday, the HTC EVO View 4G. It’s a WiMAX enabled version of the HTC Flyer Android tablet. 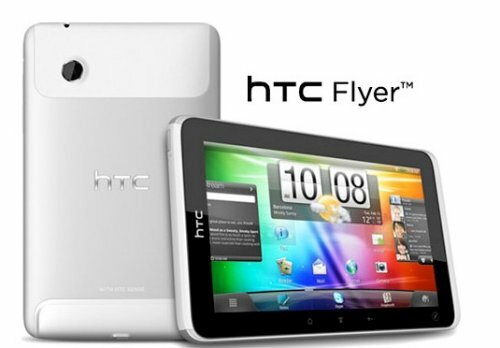 And now Best Buy has announced that they will begin selling the HTC Flyer WiFi Android tablet this spring. 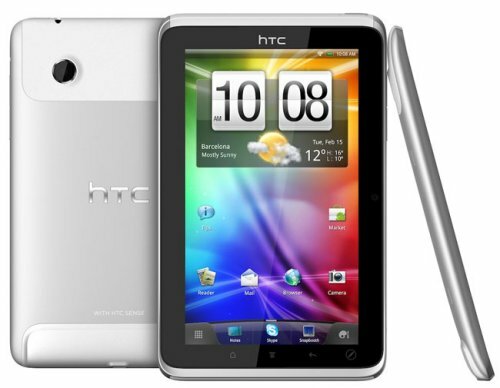 To refresh your memory, the HTC Flyer comes with a 7 inch touchscreen display with a resolution of 1024 x 600 pixels. The HTC Flyer WiFi will have Google Android 2.4 Gingerbread, a 1.5GHz Qualcomm processor, a 1.3 megapixel camera on the front for video chat and a 5 megapixel camera on the back. HTC hasn’t announced official pricing on the Flyer WiFi Android tablet yet, but hopefully we will know soon.